Municipal officials in Austin, Texas recently introduced a commuter incentives program aimed at cutting down on solo driving by city employees. The program grew out of a desire to offer city-employed commuters strong incentives for using alternatives to solo driving. Their innovative solution proved to be highly effective: employees who participated in the program were offered paid administrative leave in exchange for adopting sustainable commuting habits. Employees who opted in were given a demonstration video explaining how to participate in the incentive program. The special administrative leave commuter program was applied to a private commuter network, providing automatic tracking for participants. Participating employees accrued points (2 point per day maximum) when they logged a commute using an approved, sustainable alternative to solo driving (bicycle, walk, carpool, vanpool, transit, telework). Participants were permitted to continue accruing points beyond the minimum threshold to earn longer periods of administrative leave in 4-hour increments. 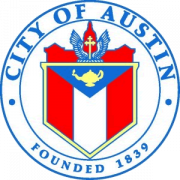 In the first six months since launching nearly 1,300 City of Austin employees opted into the program, which has generated fantastic results. Over those six months their efforts resulted in about 380 tons of CO2 emission reductions. Employees also saved over $800,000 (about $600 per participant), all while collectively burning nearly 3 million calories. The key takeaway from the City of Austin’s experience is that strong commuter incentives are excellent motivators. This is particularly true of programs that can be implemented on a long-term, ongoing basis. However, points-based commuter incentives can be very difficult to administer without the right tools. The RideAmigos platform proved to be a major ally to Austin’s transportation management officials, as it provides automatic trip logging and points tracking features along with a comprehensive suite of additional management tools. In addition to its core transportation demand management features, RideAmigos also automatically calculates the positive environmental, health, and financial impacts of ongoing programs, making it easy to see the impact of your program’s success. Get started today with your own sustainable commuting program. We’d love to make you our next success story!